In a proclamation earlier today, Gov. Dave Heineman declared June 19-30 “Chautauqua Days.” The proclamation recognzies the upcoming Nebraska Chautauqua: “Free Land? 1862 and the Shaping of Modern America,” which will be presented by Humanities Nebraska June 19-23 in partnership with the community of Papillion, and June 26-30 in partnership with the community of Grand Island. All Chautauqua events are free and open to the public. Chautauqua scholars will portray six historical characters who explore the impacts of the 1862 legislation both regionally and nationally. The characters are humorist Mark Twain, railroad builder and Civil War Gen. Grenville Dodge, inventor and homesteader George Washington Carver, author and homesteader Laura Ingalls Wilder, Ponca Chief Standing Bear, and author Willa Cather. The Chautauqua experience provides such first-person historical portrayals and opportunities for audience members to question the scholars, both in character and as a scholar. Additional Chautauqua events include workshops for adults and youth, a Youth Chautauqua Camp, and special exhibits. 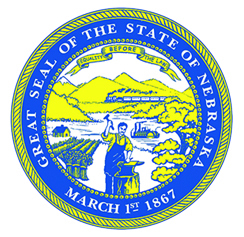 The Free Land Chautauqua is funded, in part, by a major four-year grant from the National Endowment for the Humanities and additional support from the Nebraska Cultural Endowment, Union Pacific, the State of Nebraska, and many other contributors and volunteers. For more information on this year’s Chautauqua, visit the Nebraska Chautauqua website at www.nebraskachautauqua.org, or contact Kristi Hayek at (402) 474-2131 ext. 108 or kristi@nebraskahumanities.org.